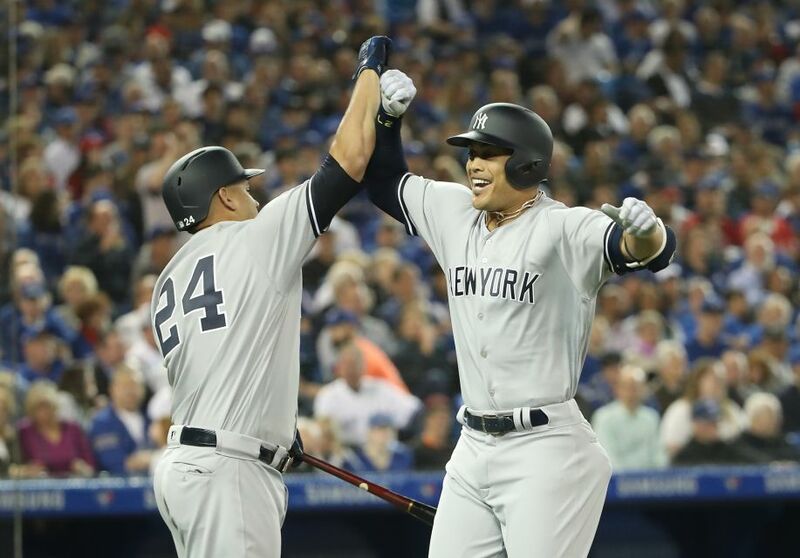 Well, Opening Day 2018 is in the books and the Yankees took the field yesterday afternoon in Toronto to begin a campaign that will be ripe with expectation and intrigue. Wielding a deep and talented roster with a shiny new toy in the middle of it, new manager Aaron Boone was able to notch his first win (more coming on that later today) and help the Yankees snap an Opening Day losing streak that stretched all the way back to 2011. Here a few thoughts as well as a few (over) reactions from game number one. Freed from Miami this year and thrust right into the middle of this Yankee lineup, Giancarlo Stanton is a now a member of a winning ballclub with championship expectations. He has been seeking this since arriving in Miami eight years ago, and he will now have it in the high-pressure environment of New York. For those of us that worried that Giancarlo might be overwhelmed or face an adjustment period to the Yankee atmosphere, he went a long way towards dispelling that notion on Thursday. Taking the number three spot in the lineup, Giancarlo wasted little time by powering a fastball over the right center field fence in his first at-bat to stake the Yankees to an early lead. A few innings later he added an RBI double before capping the performance with a monster home run to dead center in the ninth inning. It is only one game, but the reigning NL MVP is here and he looks ready to anchor what should be a fearsome Yankee offense. In the runup to opening day, I’ll admit that I felt the Yankees would hand the ball to Masahiro Tanaka for the start. While Tanaka struggled last regular season he had still been the leader of this staff for the last four seasons and I felt that the Yankees would play it safe and tab Tanaka for the familiar role. 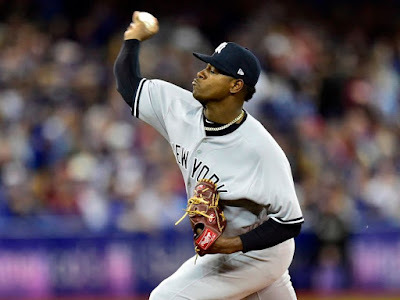 I was pleasantly surprised when Aaron Boone announced that Luis Severino, the Yankees young stud who grew up before our eyes last season, would take the ball on opening day. He did not disappoint, holding the Blue Jays to just one hit through 5.2 innings. Although he walked three he also struck out seven and displayed his trademark electric stuff. While I believe the Yankees will keep a close eye on Sevy this year in an effort to monitor fatigue from last year, it is clear that the club believes that Sevy is ready to become the ace of this staff. Severino was a top three finisher in the Cy Young voting last year and if he performs like he is capable this season, he’ll be right in the thick of it again. It is no secret that Dellin Betances struggled at the close of last season. It was so bad even that he was basically unusable in the ALCS against the Houston Astros. Even though the Yankees have one of the deepest bullpens around, it is still difficult to replace the raw stuff that Betances provides. He has been prone to periods of struggle throughout his career but last season was the worst and the most troubling by far. I’m sure there were many people rolling their eyes then, when Betances emerged from the Yankee bullpen in the eighth inning only to allow the Blue Jays their only run in the form of a leadoff home run to Kevin Pillar. Betances buckled down though and not allow another baserunner in the inning. Despite the depth of this bullpen, there will be a lot of focus on Betances due to his struggles last season and the steady stream of trade rumors that surrounded him this offseason. While Larry Rothschild is still around, Aaron Boone is now in charge and how he deploys this bullpen is something we will observe as we get into the season. Betances is a weapon, but how will Boone use him if his struggles from last season continue? Despite some discussions and early spring work as a starter, Chad Green appears to be cemented back into his role in the Yankee bullpen. 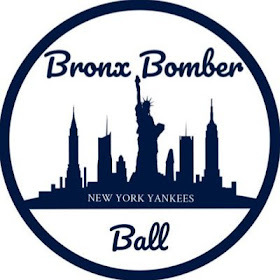 Green was a revelation as a dominant late inning flame thrower last season and became a key member of the Yankee bullpen down the stretch and into the playoffs. 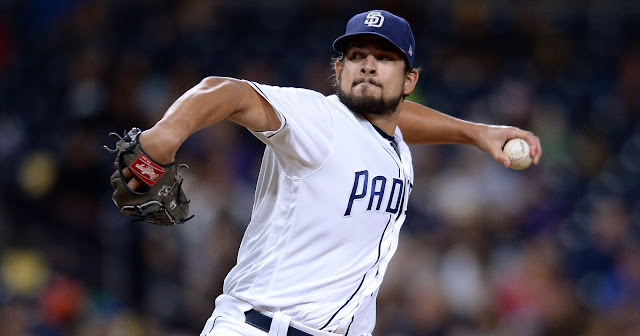 He gets strikeouts with his stuff and can pitch multiple innings with ease and it seems as though he will remain a key piece of that group moving forward. Green relieved Luis Severino yesterday and pitched a clean 1.1 innings with three strikeouts. Despite some brief concern that he was injured, Tyler Austin is not hurt but he was removed from the game in the sixth inning for defense and replaced at first base with Neil Walker, who had started at second. Tyler Wade took over at second base to further shore up the Yankee defense. This is something we will likely see more of until Greg Bird returns or the Yankees make a move for a more permanent first base option. The signing of Neil Walker late in the spring is already proving to be an important one, and it will be interesting to see how Aaron Boone divides up the playing time between this trio. On a day where the Yankees only scored six runs, every member of the lineup except Austin reached base at least once and seven of the team's eleven hits went for extra bases. 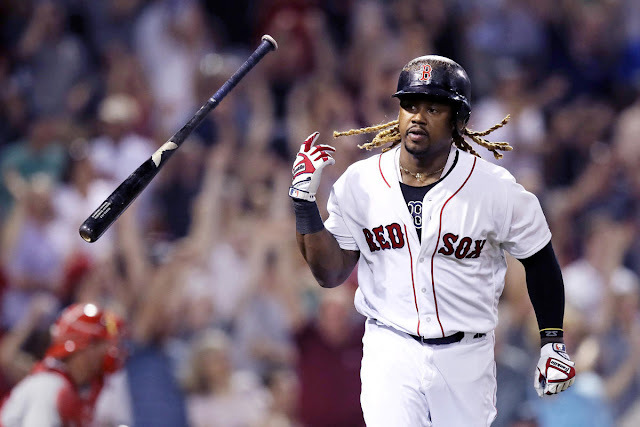 The formula the Yankees used to win this game is one that we should get used to, because it is likely what we will see on most nights. A team built around power, patience, sound defense and a talented pitching staff notched its first win Thursday afternoon. Aroldis Chapman closed the door on the Yankees first of what should be many this season. Opening day is in the books, and it sure gave us a lot to be excited about!